Sustainability has become a fad nowadays, and going green is new cool thing to do! However sustainability is far more important than a new fad, it is important because it helps the environment and the world we live in. That's why sustainable architecture is so amazing! 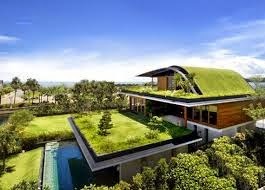 Sustainable buildings will last for a long time to come, and also not deplete or destroy natural resources along the way, its a win-win! A sustainable building not only lasts for many years to come, it also has little up-keep which means low maintenance costs! Who wouldn't want that? 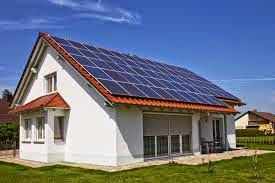 Solar panels are a great item to use when building a sustainable building. Solar panels can provide electricity for any use without negatively impacting the environment. Another reason using sustainable items when building is because they actually make the building a healthier environment; the sustainable materials emit almost no toxins! Another way to incorporate sustainable materials is using recycled materials, also buying local is a great way to support your community in the process! So if you want to minimize your carbon footprint, help the environment and your local community then think about building sustainably, or incorporate sustainable materials into something that has already been constructed. It's worth it!